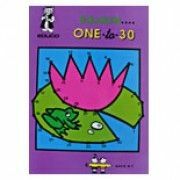 To discover the hidden pictures, connect the dots from 1-30 consecutively, then enjoy colouring it in. Learning the numbers as well as practicing the fine motor function. Children will love this book. Ages : 4-7 years.